Buy the JR pass ahead of time. Its well worth the money and I promise you will use it enough to get its ROI. I bought the 7 day pass which is about 29,000 Yen which is about $250 USD but if you plan to go to Kyoto or anywhere outside of Tokyo, I highly advise you get it. Buy a pocket wifi. About 99.9% of signs in Japan are in Japanese characters and Google Translate will become your BFF. You will want to marry Google Translate and Google Maps. I requested and ordered mine before I left for Japan from a company called WiFi- Hire. It about 6,300 Yen which is $56 USD for a week of unlimited data. Well worth the money if you don't want to ask for translations every second. Get a Pasmo from any 7-11 or convenient store when you arrive in Japan. It is for the subway and it makes it way easier to travel without having to use coins for every single ride. Super similar to the Metro Card but it is activated by a tap and not a swipe. The subways are very quiet and clean and during rush hour, there are "Women Only" subway cars, intended to prevent sexual harassment on the trains. I wish NYC had those! Tokyo is insanely clean so if you are a smoker, don't think about smoking outside. There are designated places to smoke and its mostly indoors. If you are traveling during the Summer months, (I was here in August) the humidity in Japan is almost unbearable so buy yourself a "sweat rag" and you can find really adorable ones in Tokyo. Everyone carries one, its kind of strange if you don't have one. A sweat rag is pretty much self explanatory. Ladies, we all love our Shu Uemura eyelash curlers and then when they stopped selling them in the US, our worlds came crashing down. Well mine did anyway. Mitsukoshi is a fantastic department store that has plenty of designers and brands that I have yet to see in the US. Oh, and they carry the eyelash curlers in several sizes there; they make great gifts! Oh and they are less expensive there than when they were sold here in the US. BIC Camera in Tokyo is like if Best Buy, Toys R Us and Bed Bath and Beyond all had a kid. Just go, you wont regret it. You might even come out with an anime figurine, a Tamagotchi (remember those?! ), two bottles of scotch and a tooth brush, but again, you won't regret it. Go to Ginza if you love luxury brands and expensive shopping. Its like Rodeo Drvie. Fine Japanese paper is best found at Ito-ya. Consider it stationary heaven. You won't regret it but your wallet might. Tipping is not a "thing" in Japan. People take pride in their jobs and service is always impeccable. Cab drivers have white glove service and actually wear white gloves when driving. Do not try to open your own door, the driver will open it for you or it will open automatically. The driver will get slightly offended if you do it yourself. My favorite sights: Tsukiji Fish Market and Tuna Auction, Shibuya Scramble, Takeshita Street (in Harajuku), Shinjuku, Ginza, Imperial Palace and the Hama- Rikyu Gardens. Can't go wrong with ANY sushi, ramen or Yakitori place; all the places we ate, whether it was a hole in the wall or a 5 star, were absolutely superb! Hello Kitty is EVERYWHERE! 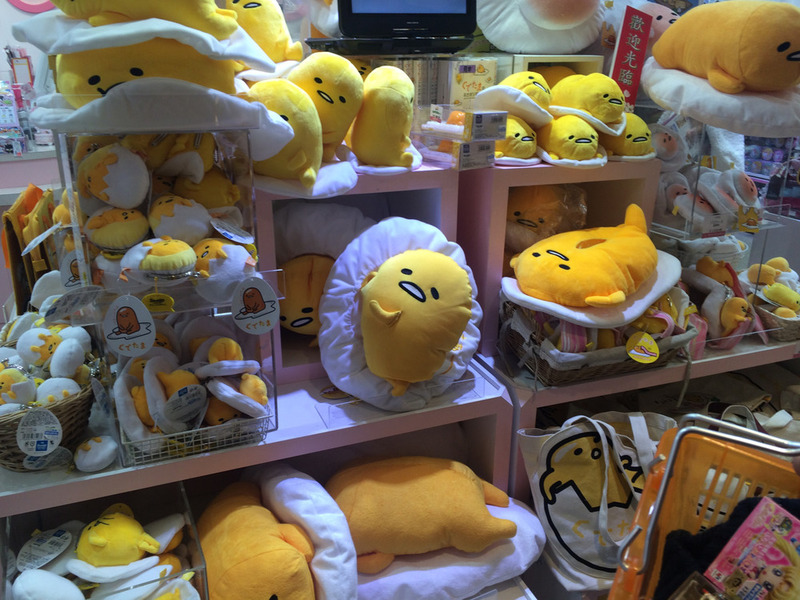 You MUST go to Kiddyland in Harajuku. You will want to buy everything! Japanese Currency is the Yen, ¥. Tokyo is a place for sensory overload, day after day, every single moment. The people, the food, the culture, the lights, the sounds, the language; so much to take in, such little time. I have no words to begin to describe the exhilarated feeling when stepping out anywhere in this amazing city. Shopping upon restaurants and karaoke bars to clubs and cafes, you can find anything and everything in this bustling area of Shibuya. My best friend was sent on a business trip to Tokyo and so what better way to take advantage of the travel situation than to join her? I spent 7 days in Japan with my best friend and in those 7 days, we did more traveling and less and less sleeping in order to make the most of our time. We happily rode the Skinkasen to see other parts of Japan such as Kyoto, Nara, and Hakone while snacking on way too many Tokyo Banana's. My favorite parts of the trip were seeing the temples, shopping for Kimonos and beautiful origami paper and eating the freshest sushi known to man. Coming from New York where we basically live in a massive trash heap, seeing eerily clean subway cars and streets not lined with junk everywhere is an absolutely surreal sight. Photo story below documenting all of my favorite moments of this life changing trip! Totally worth the 3am wakeup call and two hour wait to get to see the tuna auction! Remember there are only 120 spots per day and its first come first serve. When we arrived at 3:15am there were probably around 60 people already there, but luckily we got a spot and were able to witness such an incredible sight! Click on the video below to see how Tuna is auctioned! The most organized chaos I have ever seen! Rumored to be the worlds busiest intersection, and as a New Yorker, that can seem hard to believe, especially if you have ever been around TIme Square in the summertime, but this is truly an amazing sight! People can be seen crossing in all directions, but in the most organized manner I have ever seen. Best place to see the famed crossing is the upstairs of the Starbucks Coffee across from the train station. Its usually super crowded but so worth trying to get a spot to sit, sip and enjoy the view. Click on the video below to see this organized chaos! Our most amazing meals in Japan from Sukiyaki and Ramen to Sashimi and Kaiseki Ryori. Mind you that Sashimi picture in the top left corner was from 8am after the Tuna acution and it was the freshest and most delicious fish I have ever eaten. Well, now I can say I ate sashimi for breakfast! *Kaiseki Ryori consists mainly of vegetables and fish with a seasoning base of seaweed and mushrooms and usually come in many servings of small plates. If you have seen "Lost in Translation", you will recognize The Peak Bar, located at the uber chic Park Hyatt Tokyo. From here, the spectacular views of Tokyo almost make you forget you are spending $20 per cocktail or glass of wine. Mingle with other fancy travelers or business people while here or sit back and enjoy the live Jazz band and soak in the city views. Harajuku is located in between Shinjuku and Shibuya is one of Japans most extreme teenage cultures and styles. Head over to Takeshita Street and its side streets that are lined with plenty of trendy shops, fashion boutiques and crepe stands geared towards tourists and trendy teens alike. One of my favorite shops in Harajuku is Kiddy Land, a 5 story toy store guaranteed to make you feel like a kid again. 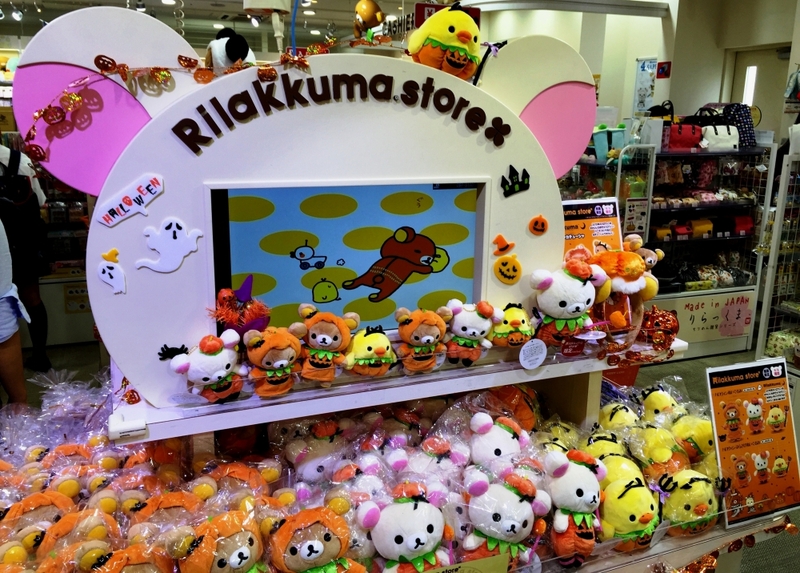 With entire sections for Hello Kitty, Snoopy and Sailor Moon, this popular store is a must see for kids and adults alike. We got there around store closing time and had to be asked about 5 times to leave the store...So many more Hello Kitties I need to buy, but alas, not enough time. Tokyo is quite a utopia and I can see why peoples eyes light up when talking about this fantastic city. I have to admit that a week here is not enough time to properly see the city without rushing, which is why this won't be my last time here. Now with all the main sights out of the way and I have a better sense of direction of where I am headed in the city, I can't wait to come back and experience more of the culture. And possibly buy a few more hello kitties for my collection.